On the last day of summer, some years ago, a young college graduate moves to Chicago and rents a small apartment on the north side of the city, by the vast and muscular lake. This is the story of the five seasons he lives there, during which he meets gangsters, gamblers, policemen, a brave and garrulous bus driver, a cricket player, a librettist, his first girlfriend, a shy apartment manager, and many other riveting souls, not to mention a wise and personable dog of indeterminate breed. 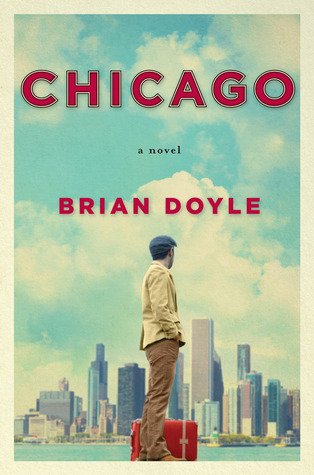 A love letter to Chicago, the Great American City, and a wry account of a young man's coming-of-age during the one summer in White Sox history when they had the best outfield in baseball, Brian Doyle's Chicago is a novel that will plunge you into a city you will never forget, and may well wish to visit for the rest of your days. Doyle's essays and poems have appeared in The Atlantic Monthly, Harper's, The American Scholar, Orion, Commonweal, and The Georgia Review, among other magazines and journals, and in The Times of London, The Sydney Morning Herald, The Kansas City Star, The San Francisco Chronicle, The Ottawa Citizen, and Newsday, among other newspapers. He is a book reviewer for The Oregonian and a contributing essayist to both Eureka Street magazine and The Age newspaper in Melbourne, Australia. * and in a dozen other anthologies and writing textbooks. As for awards and honors, he has three startling children, an incomprehensible and fascinating marriage, and he was named to the 1983 Newton (Massachusetts) Men's Basketball League all-star team, and that was a really tough league. Doyle has delivered many dozens of peculiar and muttered speeches and lectures and rants about writing and stuttering grace at a variety of venues, among them Australian Catholic University and Xavier College (both in Melbourne, Australia), Aquinas Academy (in Sydney, Australia); Washington State, Seattle Pacific, Oregon, Utah State, Concordia, and Marylhurst universities; Boston, Lewis & Clark, and Linfield colleges; the universities of Utah, Oregon, Pittsburgh, and Portland; KBOO radio (Portland), ABC and 3AW radio (Australia); the College Theology Society; National Public Radio's "Talk of the Nation," and in the PBS film Faith and Doubt at Ground Zero (2002). Doyle is a native of New York, was fitfully educated at the University of Notre Dame, and has been a magazine and newspaper journalist in Portland, Boston, and Chicago for more than twenty years. He and his family live in Portland, Oregon. I fell in love with this book. And it made me love Chicago so much more!! I need Edward in my life, Like right now please. This book was not a fast read and I enjoyed that fact. When I had to put the book down, it was only because I had "Adult Responsibilities" (why do bills exist?). READ READ THIS BOOK!! !